No one wants to live with a damaged tile floor. 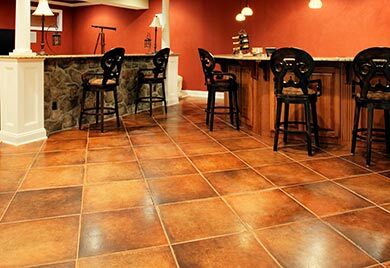 Not only are damaged tile floors unattractive, but they can also decrease the value of your home. If you notice tile flooring damage, you will need to call an Grand Rapids tile flooring contractor as soon as possible. Below, you will find 7 reasons why your tile flooring is beginning to crack. If the crack is isolated within a specific area (or even a specific tile), it’s likely the damage was caused when something heavy was dropped. Think back to the last time you could have dropped something heavy. Was it a piece of furniture you were moving in through the entryway? Did you accidently drop a cast-iron pot while you were trying to wash it? Also, keep in mind that certain rooms in your home are more vulnerable to cracked tile flooring. For example, your kitchen tiling can become cracked if heavy pots and pans drop onto your tile flooring. Tiling damage caused by a dropped object is recognizable because the damage doesn’t extend much beyond the point of impact. If you have recently invested in new tile flooring, it’s normal to worry if the tile you bought is sub-standard. Thankfully, homeowners can depend on home improvement stores and other retails lines to comply with ANSI and ASTM testing standards. This means that you can depend on your tiles to be made out of quality material. 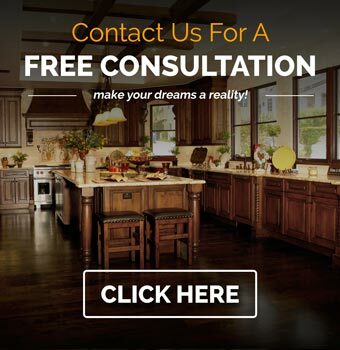 As a knowledgeable tile flooring contractor, we often get asked if heavy appliances could cause tile to crack. Most residential tiles comply with ASTM C648 Breaking Strength standards. This means that your tiles can support up to 250 pounds of pressure per square inch. This is a lot of pressure when you consider the fact that a side-by-side refrigerator that takes up 22 cubic feet only exerts 75 pounds of pressure per square inch. While it’s possible for tile flooring to become cracked under heavy loads, it’s rare. When the tiling is cracked, most homeowners assume that it has something to do with the tile itself. However, any flooring repair contractor would be able to tell you that the tile flooring you walk on is just one layer in a flooring sandwich. Since the concrete underneath is vulnerable to cracking, control joints are used to make sure it cracks in a predictable straight line. For this reason, your contractor should never install tiles over an area they know will eventually crack. The joists are the bottom-most layer in your flooring that is responsible for supporting everything above it. This includes the subfloor, underlayment, tiles, people, furniture and everything else. However, if your contractor spaces the joists too far apart, the tile flooring will have nothing underneath to support all that weight. As a result, the tiles will start to bend and eventually crack. If you notice a crack that extends across multiple tiles, this is a sign that the concrete underneath has cracked. To prevent cracks from forming in the first place, we recommend you ask your contractor to install a crack isolation membrane during tile flooring installation. When you first pour concrete, you have to let it cure so all the water can evaporate. The concrete shrinks once all the water has evaporated. The Tile Council of America recommends that new concrete cure for at least 28 days or as long as possible. Freshly poured concrete that wasn’t given enough time to cure is more likely to crack and create cracks in your tile floor. If you are interested in our tile flooring installation services, please feel free to give our Grand Rapids flooring contractors a call at (616) 458-4806. The Grand Rapids tile flooring contractors at Complete Flooring & Interiors strive to help homeowners keep their homes looking beautiful through quality tile installation.